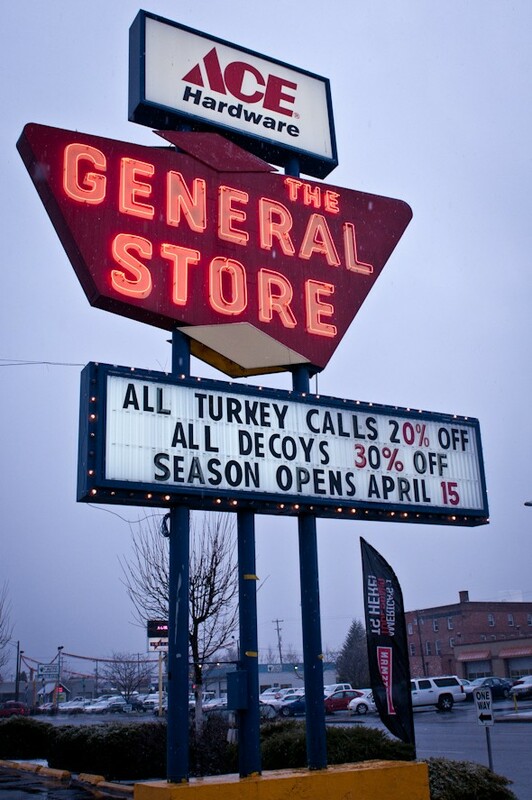 As I drove up Division and passed a series of bright yellow, hand-written signs that read, “Turkey Decoys 30% Off”, I stopped in the General Store for a visit. The General Store is, in short, a wonderland for those with a penchant for projects. 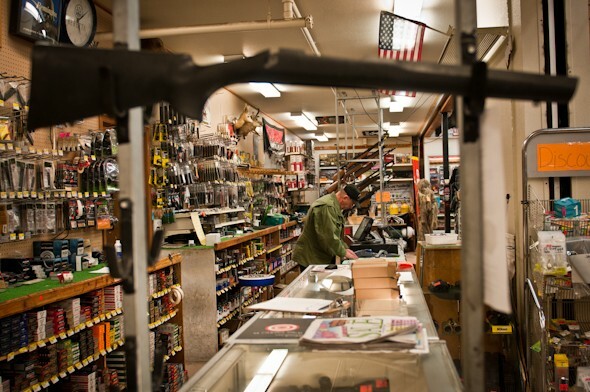 What started as an Army surplus store has evolved into a mecca of useful oddities: sporting gear, housewares, clothing, hardware. 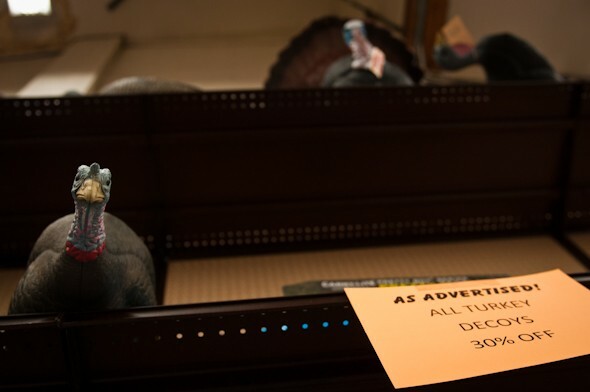 It was decoys and the business of hunting turkeys, however, that really caught my attention. 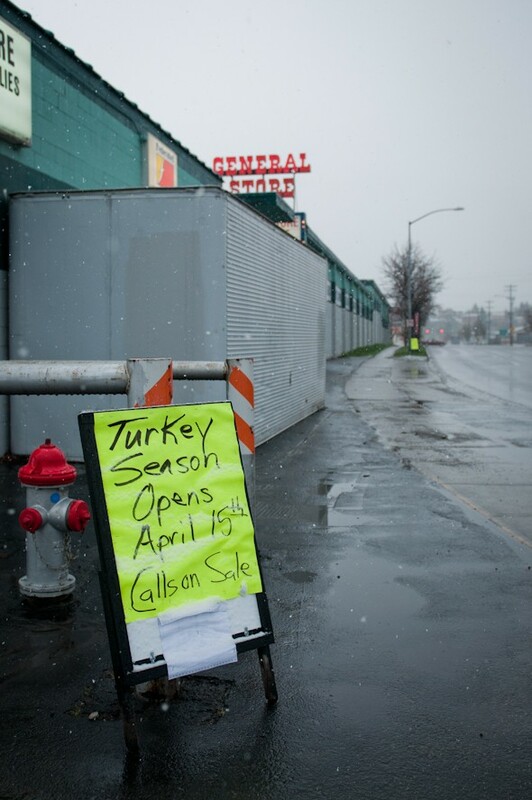 Turkey season opened on April 15 and runs through the end of May. And whether you’re a fan of recreational hunting or not, the General Store stands as a reminder of our not-so-distant pastoral roots. Spokane is curious in this way: urban and still somewhat rural; a place where progressive and traditional values collide. The tension challenges our assumptions and, like a well-crafted decoy, requires one to question what is real and what is fake. 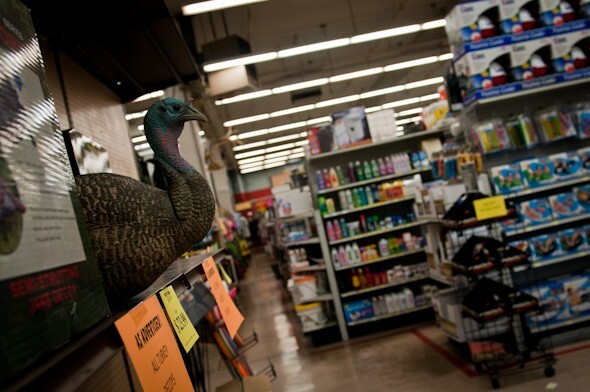 The General Store on Division stocks decoys, calls, shotguns and shells for seasonal wild turkey hunters. Decoys come in various shapes and sizes, mimicking male turkeys (toms), female turkeys(hens) and adolescent males (jakes). Wild turkey plumage is exceedingly tough and requires a targeted shot to the head in order to make the kill. 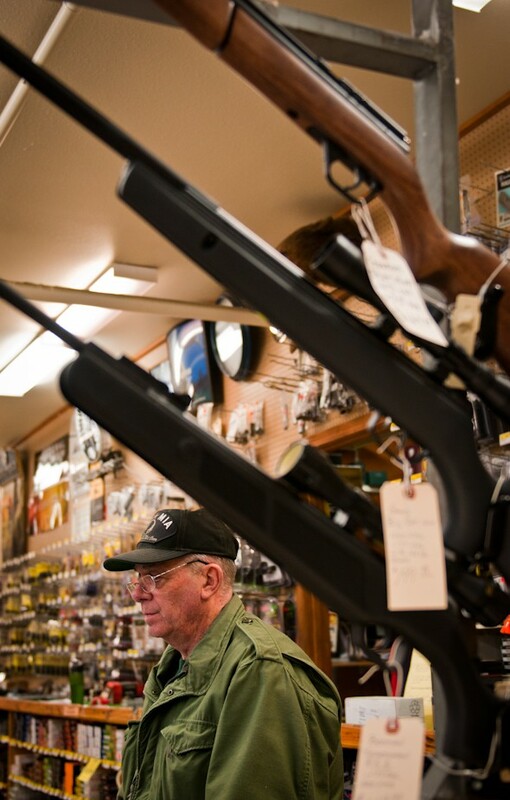 Most hunters use shotguns, although some still prefer the challenge of a bow and arrow. Wild turkeys also have exceptional eyesight. A well-prepared hunter will study roosting patterns to locate a flock of birds, then rely heavily on camouflage to remain unnoticed while turkeys approach a decoy or wander nearby in search of food. 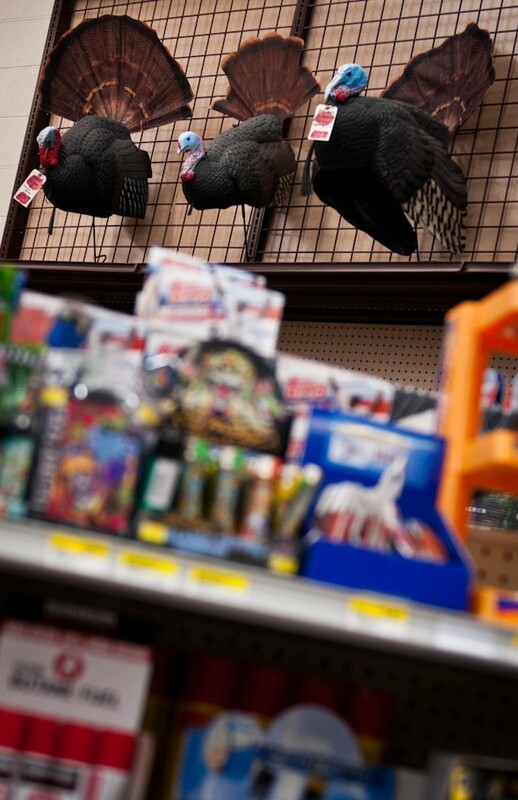 Because wild turkeys are rarely shot on the fly, specialized hunting tools are used to lure birds within close range. Hunters shoot only bearded male and female birds. The longer the beard, the older and bigger the turkey. Adolescent jake decoys lack both a beard and gobbler, but are used to attract larger, territorial males. ABOUT WANDERLUST: The photo series is a 60-day visual story-telling project that explores the seemingly ordinary places, people and things we experience everyday. It's about being curious and asking questions. It's about wanting to know more about the world around you and seeing it from fresh perspectives. If you have ideas on where I should wander, drop me a line: amyh@inlander.com.